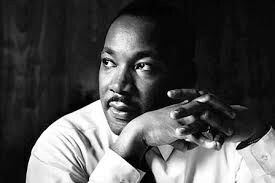 Martin Luther King, Jr. was an influential leader during the Civil Rights Movement. He was also a great speaker, and his powerful words resonate with us today. IS MARTIN LUTHER KING, JR. DAY A FEDERAL HOLIDAY? Since 1986, the third Monday in January has been a federal holiday in observance of the birthday of Martin Luther King Jr., a Baptist minister, Nobel Peace Prize winner, and civil rights leader dedicated to nonviolence. For more about this leader, go to the Martin Luther King, Jr. National Historic Site of the National Park Service.